Note: To showcase the wide appeal of +40 bloggers that goes beyond their own age-group, I'm starting a new blog feature, the 20 on +40. This feature will showcase 20 other friends in the community who pick their favorite +40 blogger, interview them, and write about it. This is the third of the series. 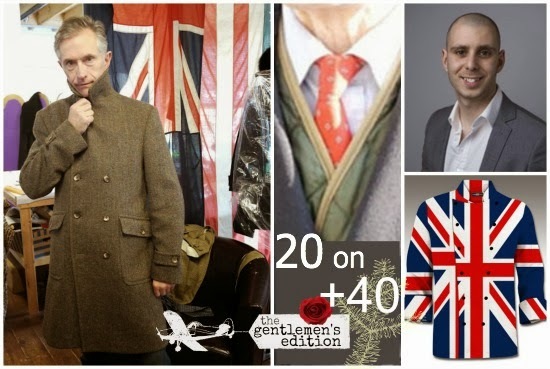 The Grey Fox blog stands out as a +40 fashion blog written by, and for men. 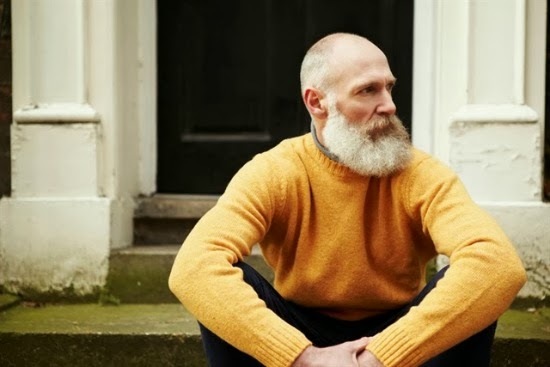 David is in his fifties, a tireless advocate for British made goods, and his fashion blog, Grey Fox is a must read for any who seek an offering of men's style. Who could more perfectly interview David, a singular +40 fashion blogger, than another British gent who stands out in a sea of feminine voices, the singularly unique twenty-something image consultant, Arash Mazinani? Grey (Fox) matters: Exploring the search for mature style from a +40 man's perspective. Arash: So how has your style changed over the years? Have you always been interested in your personal style or is it something that became more interested in as you got older? David: I’ve only become very interested in style recently. In the past, I'd only had a passing interest in fashion and style, and didn’t approach the problem in any rational way. I reached that age in my forties when I was struggling to know what to wear and how to wear it, but it was only recently, in my fifties, that I decided to do something about it in practical terms. At that point I decided to write about my search for style in my blog (greyfoxblog.com) and I feel that this happened as I got older, because there is less guidance for the stylistically challenged older person than for the young, who can buy anything they want on high street – a choice not available as you get older. Enough about me, what about you – what is your style background? Arash: My background was initially in retail, I started out working for River Island, tucked away in the stock room. I was the fortunate enough to land a job at Harvey Nichols where I ended up selling women's designer shoes then I managed to work my way into the personal shopping suite. I think my personal style developed over that time period the most as I had transitioned from wearing clothes for comfort to clothes that would give me access to swanky night spots and make me look like a proper man, if that makes sense? Working at Harvey Nichols was a real education; not only was I involved in the fashion world, selling the end product, talking to representatives from the brands, but also just being around other stylish people. Dressing for work became my little playground for experimentation, which was fantastic as I could be as quirky or reserved as I wished. How does men's fashion differ to women's in your eyes? David: Interesting – we’re completely different in that you have a background firmly in the fashion world; I don’t! As I only set out on this journey less than two years ago, and I'm very early in the stage of finding a personal style – I see so many influences, but am not sure which to go for. The tendency (and this may be an age thing) is to stay fairly safe and conventional. On the other hand I want to be different. So I am being pulled by the desire to be original and the deep-rooted instinct not to stand out, whether these can be reconciled, I don’t know. Men and women’s fashions? I think men want clothes that have some practical use – they go less for pure decoration that has no intrinsic use. Men also like the technical, classical and historical aspects of clothing. They may be attracted to high-tech, others to heritage aspects in their clothes. Menswear changes so much more slowly – a suit from the early twentieth century could be worn without turning too many heads – a woman’s dress from the same period would look like historical costume. What sort of styles do you go for, as someone much younger than me, and what attracts you to them? Arash: Interesting points, I recently asked my friends about 'who men dress for?' after a discussion around who women dress for. They said they dress not to stand out, as guys I think we're terrified, especially when it comes to fashion, about not fitting into the tribe. Great observation about women's dress looking historical if were that old, never thought of it like that. For me I tend to stick classic tailored pieces as much as I can, then experiment with bold colours through accessories. The way I see it is, accessories are relatively inexpensive so you can afford to go a bit crazy with those but I want the bulk of my wardrobe to be built around classic pieces that won't really date and will continue to look great. What would you change about the 'fashion industry' if you could? David: From what you say it sounds as if we’re not that different with our tastes and it may be that what you describe drives most men’s search for style – whatever age – although those who are youngest are probably generally more adventurous. You ask what I would change about the fashion industry. That raises the much-discussed difference between fashion and style. High fashion – what a few wear each year driven by each year’s collections – is not necessarily style. People wear it so that others can say how fashionably they dress – but they don’t necessarily look stylish. However, I recognize that this approach is necessary if styles are to develop and if the fashion industry is to make money. 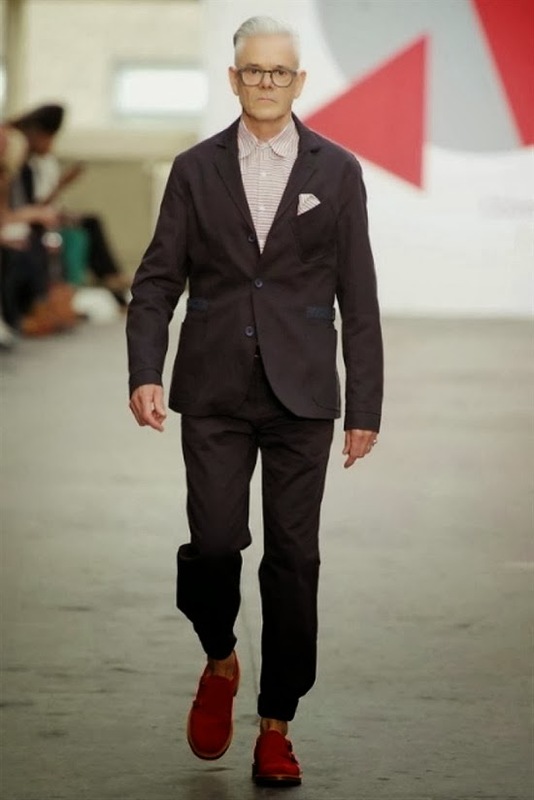 However, I do object to the way that men over 40 or so are ignored by much of the fashion industry. How often are older models used to sell clothes? 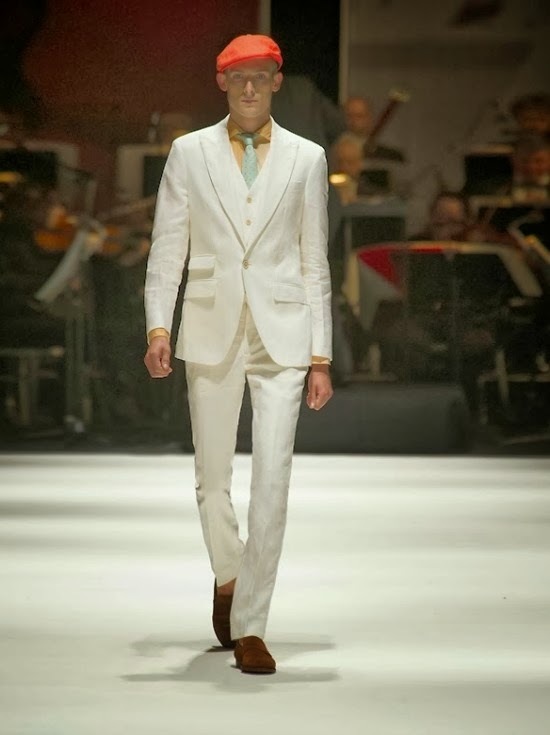 Even at London Collections: Men in January we saw Savile Row – the essence of traditional classics and style – using almost exclusively models in their twenties in their show at Spencer House. They were wearing styles generally worn by much older men. 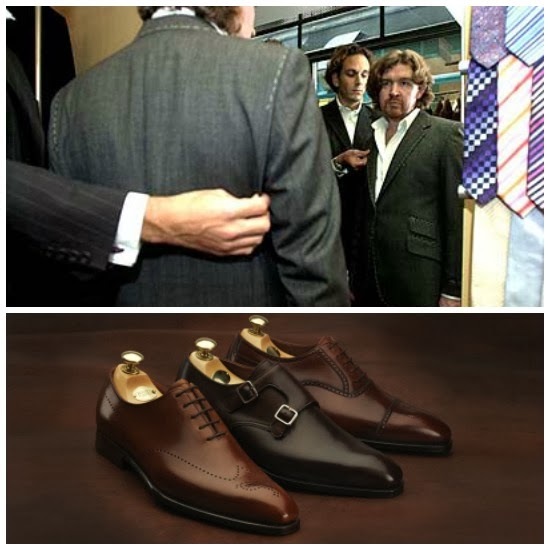 While it was good to see younger guys wearing tweedy classics, few that age could afford Savile Row prices and the failure to have even a smattering of older models was, for me, a slap in the face of their established client base. More generally, the high street sells piles of often cheaply-made clothes for the younger market – super-slim trousers, camouflage, printed T-shirts – but, in general, ignores the older market, which needs well-made classics. Older men are an affluent demographic and I’ve never understood the fashion industry’s failure to cater for it. 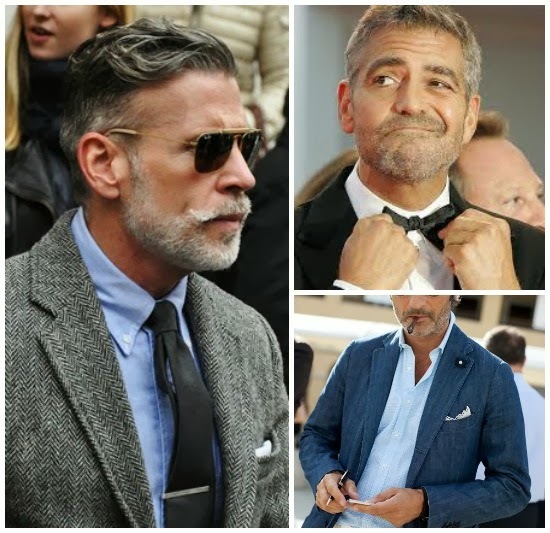 There are, of course, exceptions, but this gap in the market means that many men give up in middle age – unable to find an easily accessible style which transitions seamlessly from the younger looks they are moving on from. What’s your view of the fashion industry? Arash: I think the fashion industry is so large it's quite hard to discuss the entire thing. But in terms of the transition from the catwalk to retail and the availability of mens clothes I have a few issues. The main issue is the lack of choice when it comes to menswear in general. When I think of the high street and the stores that are available that cater to women, they far outweigh those that cater to men. The brands that cater for both tend to dedicate a smaller section of retail space to menswear. Now I know as a business they're out to make money and as general rule of thumb women spend more on fashion than men. But if the reports I read are correct, this is changing, yet retailers are very slow to react. To give you an example, a new flagship Topshop store opened recently in my city. Only a quarter of the floor space is dedicated to menswear while the rest caters to women. I often have money to spend but get frustrated at the lack of choice. I prefer to avoid online retailers as you can't really try on the the items and get a feel for the fit. Often the returns process is just a chore too. 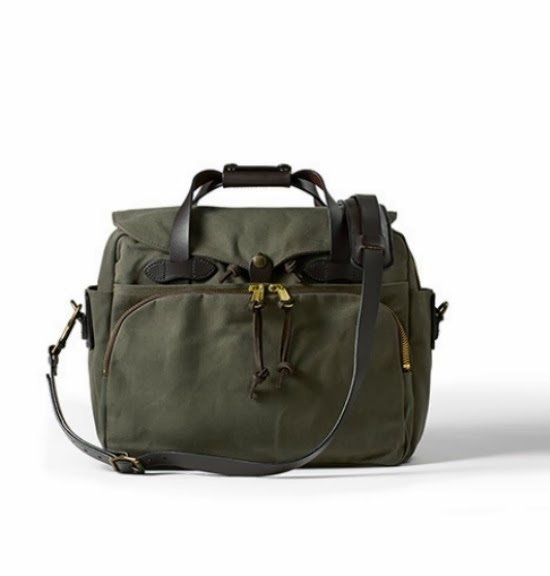 Do you think that it's only middle/higher end that really caters for older men that want a good fit and classic quality? David: I’m fascinated that you feel there is a poor choice of menswear. From the perspective of the older man, I feel that there is a far wider choice for the younger man than for the +40 male. It’s possible to find what I need, but usually after a wide search. I think there are few shops that don’t offer something for the older guy, it’s just that it can be hard to find. The middle and higher end tend to have more for us, the lower end, like Topshop, offers less, as the styles focus on youthful skinny cut jeans and t-shirts. Most of what is offered by the high street for the mature man and woman is terrible – ill-fitting and badly-designed – no wonder so many seem to give up sartorially in middle age! I agree with you about online retailers and am surprised at how well they do, particularly at the top-end. How can people buy expensive clothes without trying them on? Even fast and easy return services don’t make this any easier. How important do you feel that style and fashion, which seem so frivolous, are in a world where so much more serious stuff is going on? Arash: Great question! I think it's difficult, as a professional image consultant I do think on an individual basis one's personal style is important. I take great pride and often joy helping people feel more confident and feel more empowered simply by changing the way they dress. On micro level these issues for some individuals are huge. But I understand in the grand scheme of things fashion is quite frivolous. My partner works in a school in a very deprived area and some of the stories she tells me about the children are quite upsetting. I then look at my twitter feed and see other bloggers moaning about really insignificant things and it puts the world of fashion into perspective. David: I feel, I think, rather as you do – there’s something very superficial about fashion and many involved in the industry behave as though there were nothing more important. But this is a phenomenon we see in so many other aspects of life – the celebrity culture that celebrates people who’ve offered little to society and overlooks those who have contributed hugely. But all this confirms that I’m a grey-haired grumbler! The other side of the coin is that clothes give us a means to express our personalities and to feel good about ourselves. 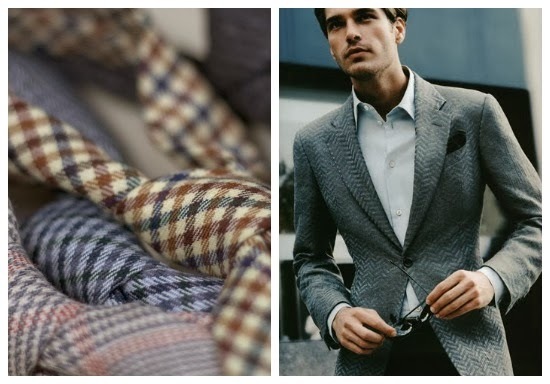 Well-dressed we can feel ready to face anything – an important business meeting, a date, interview – we are helped through so many life events by the careful selection of clothes. We are judged on our appearance to the extent where what we wear is of utmost importance – it’s a cultural thing that we have developed since man started to wrap himself in skins, so we may not like it, but cannot avoid it. One of the messages I try to give on my blog is that style is a personal thing, but ultimately the style we choose will affect how we are perceived. Confidence is an important part of it and helps us to carry off the look we are trying to achieve. Feeling comfortable in our clothes is essential. From my viewpoint as an older man, this comfort and confidence is best achieved by going for classic styles to start with, building up to more contemporary and/or esoteric as confidence grows. What’s clear to me is that you don’t have to be affluent to look stylish and well-groomed. Careful selection of cheaper or vintage clothes can achieve an excellent look. I think this is harder to achieve and buying style is too easy for those who can afford it, so more skill is needed to look stylish on a budget. What’s interested me is that, although we are different ages, our fundamental views seem very similar – do you agree? Arash: I certainly agree, they say great style is timeless so I guess we've just proven that lol. I know Bella was asking if we could wrap things up so she can post it. But I wanted to ask one more thing: How do you stand in terms of the blog community? Particularly being a guy and also being an older gent? I don't think we've discussed that just yet. I know that the number of guys who blog is steadily increasing, but it seems fashion blogging is still dominated by women. Just the other day someone was conducting some research about blogging in my city and they weren't aware of any other male fashion bloggers besides myself. I know that there probably are some, but no where near the same amount as female bloggers. As a guy blogging about both men and women's fashion I do sometimes feel as though I'm outside the blogging bubble looking in on everything. I not really a 'womenswear' blogger or a 'menswear' blogger nor do I post 'outfit of the day type' posts. This leaves me in a small gap that kind of slots somewhere in-between. I often feel as a result as well its taken a lot longer for other bloggers to find or acknowledge me as a blogger. I know that if I gave in and posted outfit posts my traffic would go up but it's not really something I ever envisioned or wanted from my blog. 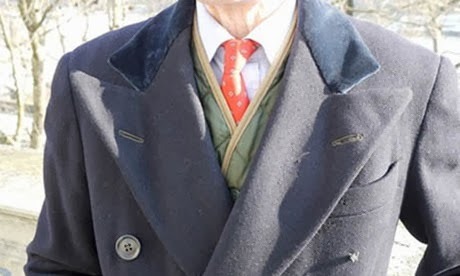 Have you found similar things in terms of the blogging community being a stylish older gent? David: I’m not really sure how well known I am in the blogging community – the best way to get known is undoubtedly Twitter and I am slowly making progress there with all sorts. There is a novelty value. When I started I couldn’t find any other older men fashion bloggers anywhere (I approached Bella very early on as she is well-known as an (relatively) older woman blogger. She was so helpful, but knew of none either). The advantage of being a rare bird is that I have a different approach and this seems to be appreciated by many who like to see an older chap interested in such things. Quite a few companies and PR firms have approached me, so, on the whole, I seem to have hit as hole in the bloggosphere that needed filling. Two or three other grey-haired male bloggers have since appeared (very kindly acknowledging the path Grey Fox has blazed) so we are increasing in numbers. Maybe this reflects the increase in the proportion of older people in society generally – and also the fact that men are becoming more confident about style. I sometimes (maybe rather unfairly) suspect there are a few retailers and fashion houses who avoid me because they are so steeped in the youth-oriented approach of the industry that they are nervous of their products being endorsed by an aging man, but this is only a suspicion and I have no proof of it! I was initially nervous going to fashion events, thinking they would be crammed with young people who might wonder why this wrinkly is in their midst. In fact, I’ve had nothing but friendliness and help from everyone – and the fashion industry isn’t always as young as we like to think – it just surprises me that it’s the young who are given such a huge say, given the numbers of older fashion leaders and, in terms of the market, the generally greater affluence of the grey pound. As you say, there are fewer male bloggers generally – whereas young female bloggers are two a penny. On the whole, I feel that male blogs have to be very high quality to survive – compare any five men’s blogs with any 5 women’s and you will see what I mean. The best female bloggers are outstanding and naturally stand out from the crowd. I have never found any poor quality men’s blogs, I suspect they simply disappear. In all forms of blogging it’s being different that helps. I’m sure that’s why Grey Fox has progressed further in a year and a half than I could ever have dreamed. You also have a very different approach, that is a strength. I don’t think it matters what other bloggers think of you – it’s the readers, fashion retailers, manufacturers and PR people who matter to you as a blogger. Bang your drum louder, being quite clear about how and why you’re different – women would be fascinated to know what a man thinks about the clothes they are thinking abut buying! These things will ultimately give you an edge. Be sure to check out David's +40 mens style blog: Grey Fox Blog and Arash Mazinani for thoughtful posts on developing your own style. This was a very cool interview! Thanks for introducing me to the grey fox! I know of both of these stylist men. It is refreshing to have a man's perspective. I love this series!!! It is excellent to hear from the men in the industry. Well made arguments abound. Thank you for it, once again. I was surprised with how much they seemed to echo my own ideas about personal style, and also how little I have thought about men's fashion. I haven't looked at their blogs yet, but I have a feeling I could learn from them.